The Standard - East Village is a sleek, high-rise hotel only a 3-minute walk from Merchant's House Museum and 5 minutes from Orpheum Theater. 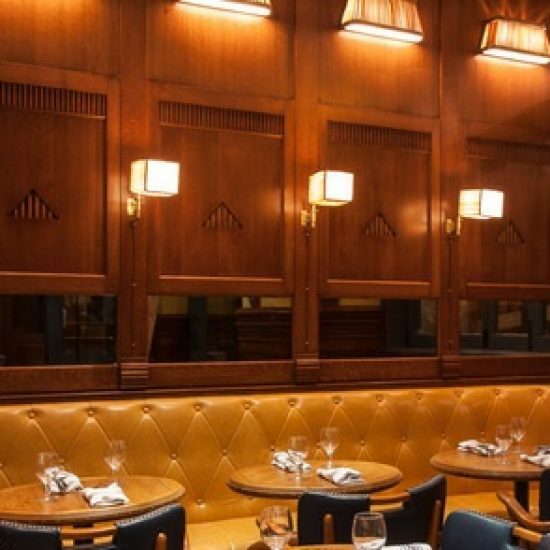 We completed the custom millwork design in close collaboration with LA design firm, Shawn Hausman Design. 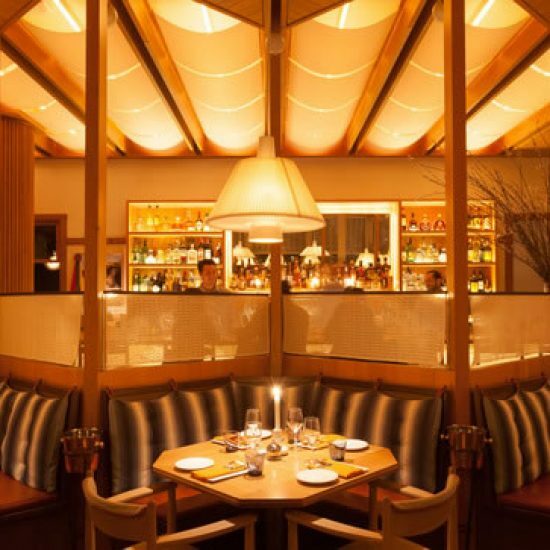 This large project featured over 1 million dollars of custom millwork on the walls, ceilings, and front wood columns of two restaurants in the hotel, including Narcissa, an upscale American restaurant featuring an open kitchen, garden, and a clubby bar with a roadside patio. 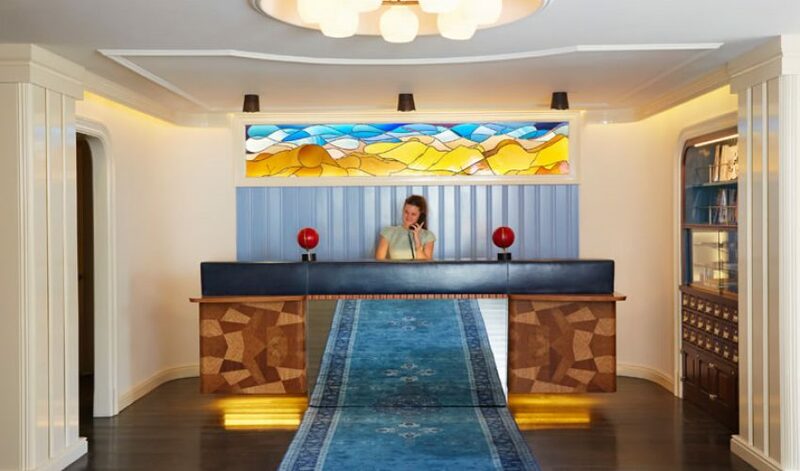 Additionally, the Standard’s reception desk is a statement and focal piece in the space. The desk features a custom-designed front with a unique pattern crafted from Affromosia, Myrtle Burl, and Eucalyptus Veneers. The countertop features a custom-dyed leather hide and a retail furniture cabinet made of a combination of stained walnut and hand painted bead board, custom imported paint from ‘Fine paints of Europe’.